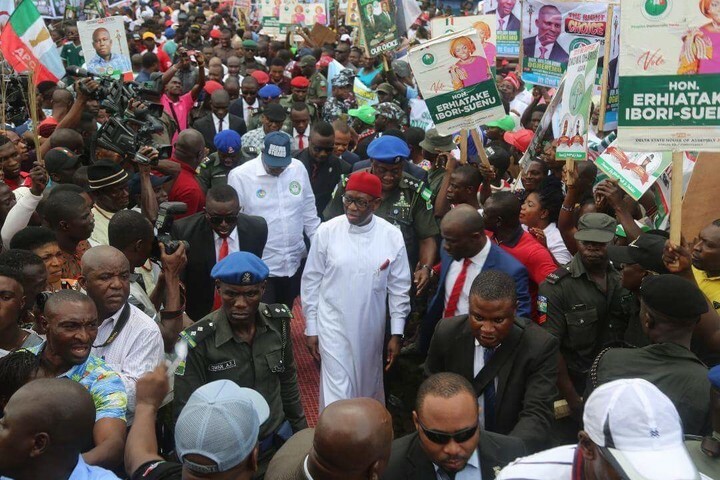 No fewer than five thousand Politicians Today (12/09/2018), decamped from the All Progressive Congress (APC) to the Peoples Democratic Party, (PDP) . 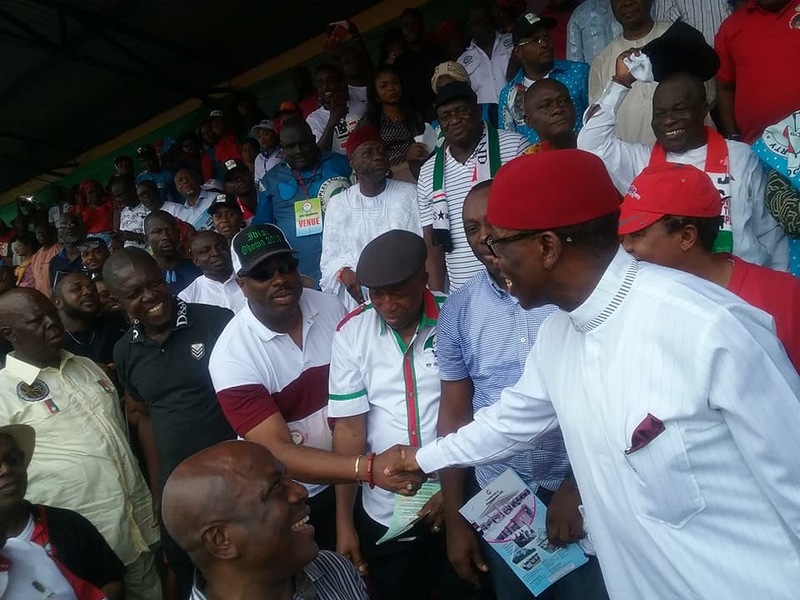 DELTA State Governor, Senator Dr Ifeanyi Okowa and the Chairman of the Peoples Democratic Party (PDP), Barr. Kingsley Esiso while receiving the defectors, observed that PDP will have a smooth sail to victory in the 2019 general elections. 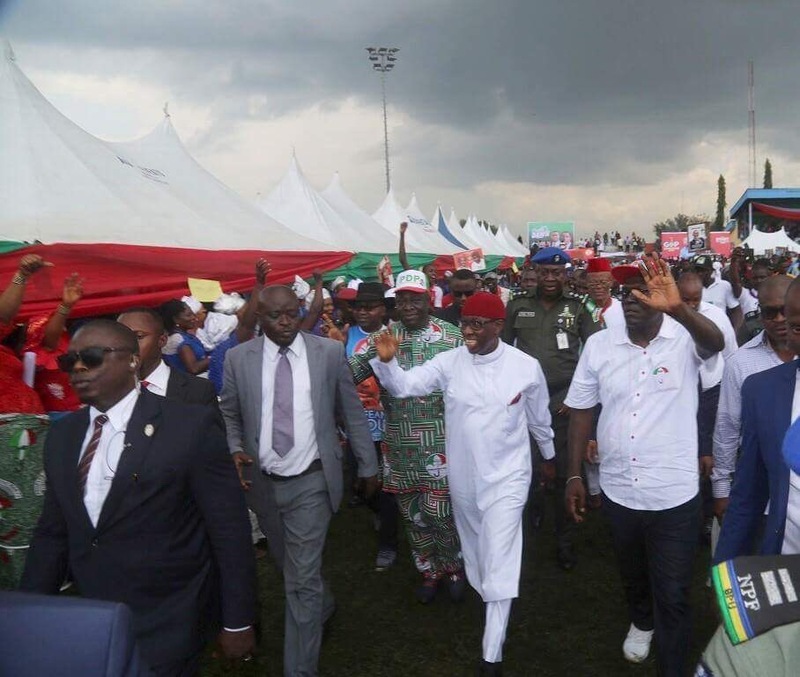 The decampees who were from different local government areas that made up Delta Central Senatorial District peopled largely by the Urhobos, were received at a mega political rally held at the Ughelli Township Stadium, Ughelli, Ughelli North local government area of the state. Col. Morrison Ideh, Chief Edward Ofomona, Chief Ochuko Johnson, Chief Reuben Oteri, Chief Samuel Umunedi, were among those who led their followers to join the PDP. Governor Okowa commended those who decamped to the PDP, disclosing that with the work his administration was doing in the state, the few persons remaining in opposition political parties will join the PDP before the 2019 general elections. 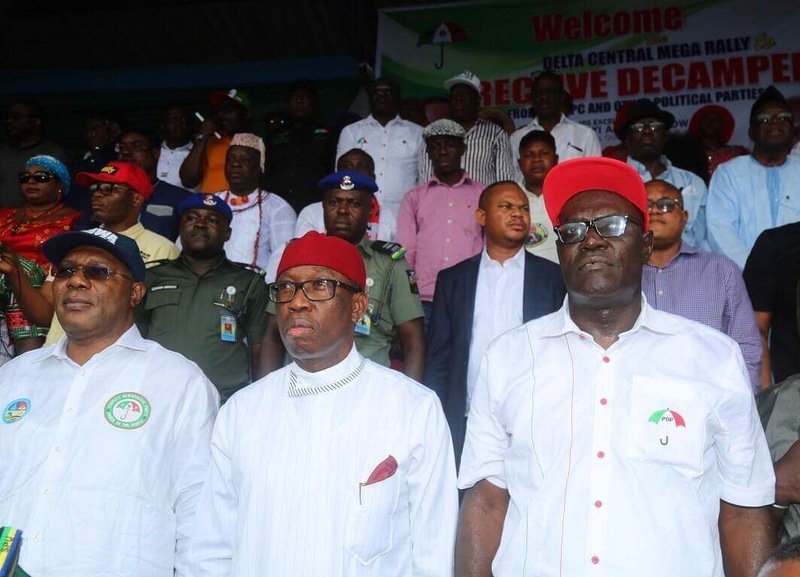 Col. Morrison Ideh, Chief Edward Ofomona, Chief Ochuko Johnson, Chief Reuben Oteri, Chief Samuel Umunedi, in their separate speeches, disclosed that they were attracted to the PDP by the leadership style of Governor Okowa’s administration, especially in the delivery of democratic dividends across the state. They stated that their movement to the PDP signaled the death of opposition political parties in the state, noting that ahead of 2019 general elections, Deltans should rally round the governor to give him 100 per cent votes in appreciation of good leadership.